This tutorial will show you how to set up an auto-reply message for an email hosted with Gordon Multimedia. This will automatically reply back to anyone who sends you an email with a pre-determined message. This can be set up for a specific period of time (such as a vacation), and the auto-reply will only send the reply message once to any one sender. 4. 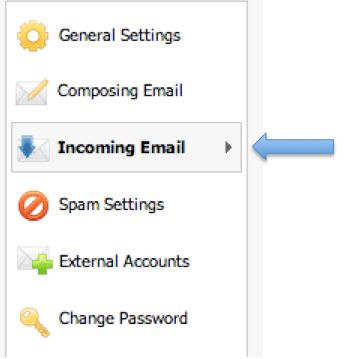 Once logged in click on the settings next to your email address in the right corner of the screen. 7. Make sure Auto-reply is selected and switch status to ON in the window marked auto reply message, put your auto reply message and clicked save. 8. (***OPTIONAL) You can have the message be on for a certain time using the start on and end on date. This will turn off the auto-reply by a certain time. 9. 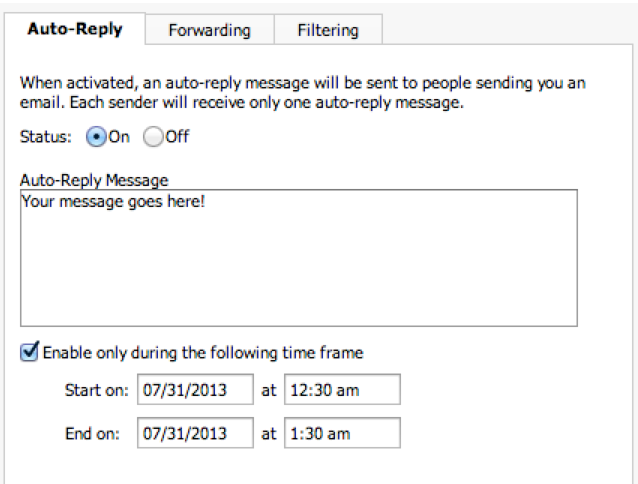 To turn the auto reply off manually: – Go back to this screen and switch the status to OFF.